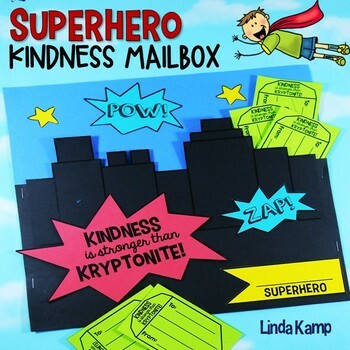 This Superhero kindness activity and craft is a variation on bucket fillers and a fun way to build classroom community. It also makes a unique Valentine's Day mailbox! 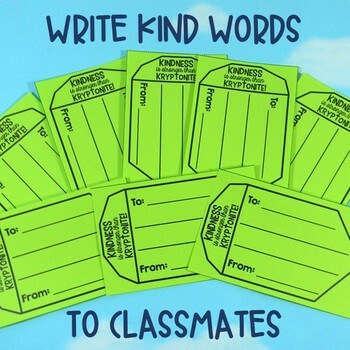 Use it during back to school, random acts of kindness RAK week, end of the year, or anytime to foster friendships and build classroom community. The premise is that kindness is stronger than Kryptonite. Kryptonite was the downfall of Superman. It took his power, yet he couldn't resist it. But kindness is stronger than Kryptonite and has the opposite effect on all. Kindness uplifts and empowers both the giver and the receiver. Kindness is a superpower whose strength is unlimited. 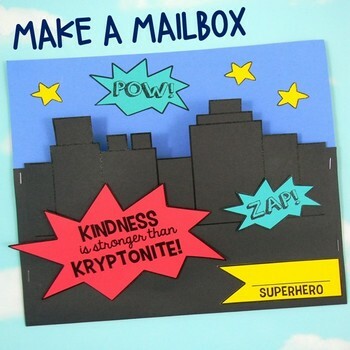 Students make a city building mailbox then use the Kryptonite kindness cards to write kind notes to their classmates. 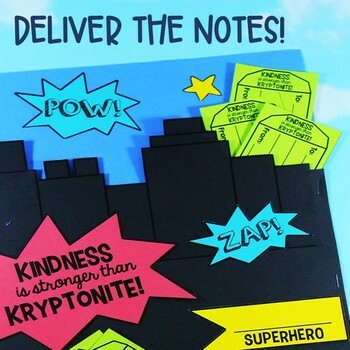 Perfect for building a caring classroom and an fun addition to any Superhero themed classroom! Visit my blog Around the Kampfire to see how I use this resource in my classroom! ***Don’t miss a new resource! Be sure to click the green star by my picture to follow my store and get an email each time I post a new, time-saving resource! Be sure to check your TPT inbox for monthly messages from me. I like to include exclusive freebies just for my store followers! ***Did you know you can save money on TPT resources by leaving feedback? Go to your ‘My Purchases’ page and leave feedback on the resources you’ve purchased to earn TPT credits toward next time!